Lingerie marathon finished I turned my attention to the July Sew My Style patterns. Initially I thought I would try the Forsythe Trousers from Blank Slate Patterns as I thought the Lander Pant & Short from True Bias was not for me. Then, Lauren Guthrie posted a blog on the short version and a decision was made. Given the heat wave we are having I liked the idea of the comfortable capri length Forsythe but I have a dislike of anything fussy so would have made without the sash belt. Not a big fan of either ankle length or wide legged trousers the Lander didn't originally appeal to me. However, I thought the button fly would give me some much needed practice of buttonholes and fly fronts and Lauren's version did look great. Never used a True Bias pattern before but seen so many rave reviews about the Odgen Cami I thought I would buy this at the same time. I was going to buy the same material that Lauren had used but I came across this Sorona Linen which is a bio-based, eco-friendly fibre that has been mixed with the linen to enhance it, making it less likely to wrinkle, dry faster and retain its shape for longer. Sold! Most of the colours had sold out but then there was just enough in the black. I placed the order and then got a phone call to say it was in two pieces. So I quickly printed out the pattern pieces to see if the two lengths would work. Thankfully it did and the order came with some extra thread for the inconvenience. All the staff are just so helpful. Can't wait to visit on the way to the Festival of Quilts. Material washed and pressed I was ready to go. 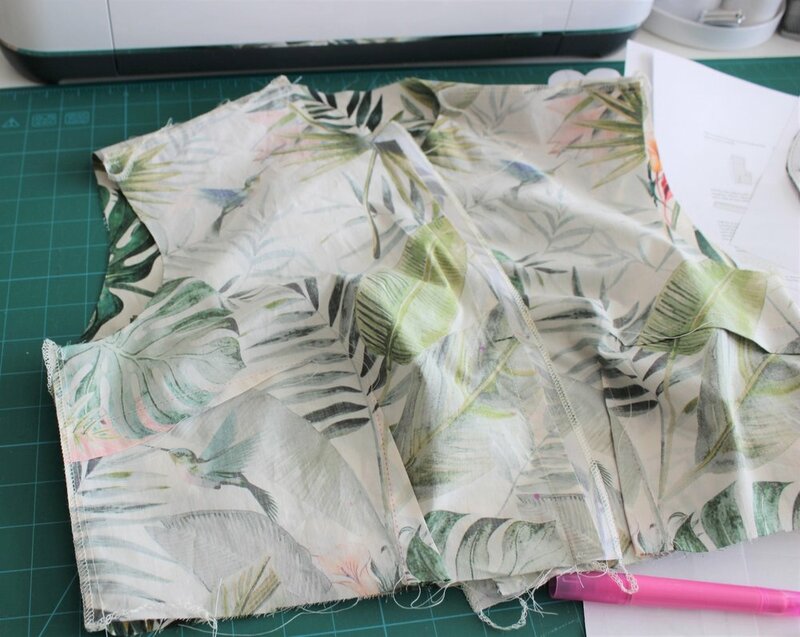 Not a layered PDF pattern but the shorts and trousers have a separate file so you don't waste paper if you want to do the shorts. Not that I have made many but I would always make a muslin for trousers. Normally I would just make up the main pieces and pin to fasten but ended up putting on the fly and waistband to see where they sat for fitting. I also wanted to see the length as for me they looked to be quite short shorts! For the side seams there is a 1" seam allowance to allow for fitting. The length was fine but I moved the seam allowance to 1/2" as it felt a little tight for the warm weather and I wanted to use the pockets. There is a great blog on common adjustments from Kelli. I then cut the pattern pieces to the correct size as sometimes you can lose some of the detail when tracing from a multi-size pattern. (Can't do that with paper patterns!) When I placed the pattern pieces on the fabric it dawned on me that I had bought the fabric requirement for 45" fabric rather than 54". A bit annoyed with myself for wasting money I quickly realised there was enough left to make a top as well.... about which more later! 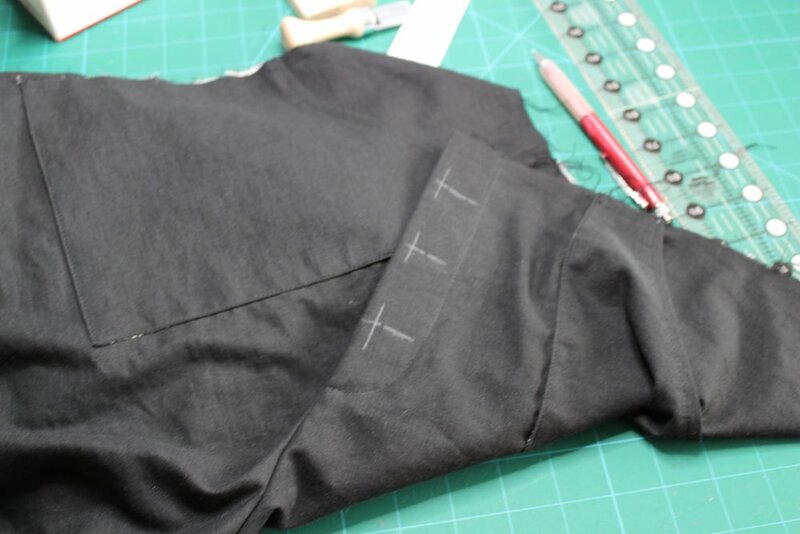 I used black woven interfacing due to the colour and weight of the fabric. Modern interfacing is so much softer and adds the strength without the stiffness. 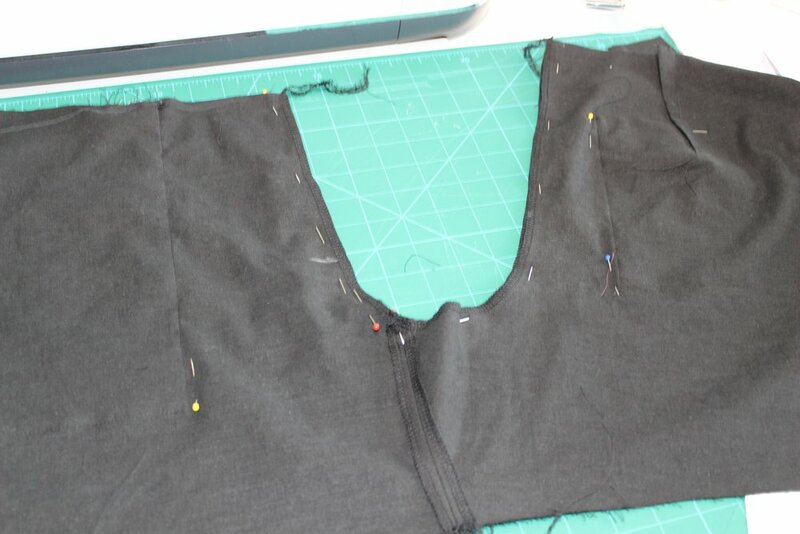 The first step is the back darts and then you apply the back pockets. I liked the way you stitch down the turn back and then carry on all around so you have a stitch guide for the sides and bottom. It also helped that the fabric pressed so well. 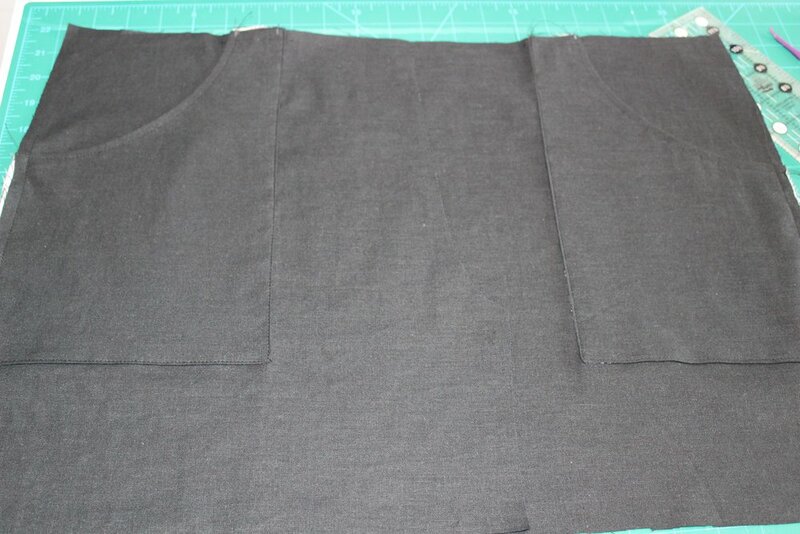 I did make sure that the pockets were the exact same size and were accurately placed on the back pieces. I used a fabric glue pen to hold the bottom corner folds in place whilst sewing. Quilting has left me with boxes of leftover cotton pieces so I had so much to choose from for the pocket lining. I went with the Art Gallery zip fabric as I didn't want too much colour in case it showed through. 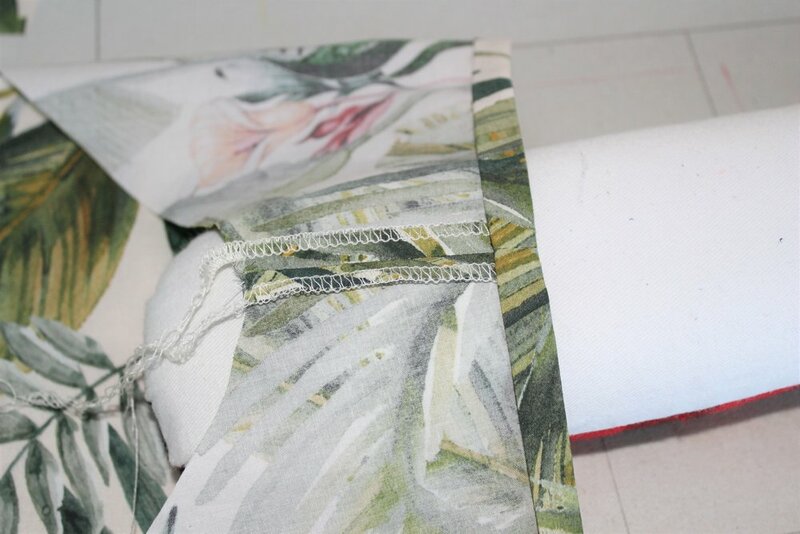 If you are using a contrast lining it is really important to trim the lining piece by at least 1/16" so the main fabric rolls to the back as you can see in the middle picture. Great to have the 1/4" inch quilting foot to use for the pocket edge. Again made sure the pockets were exactly the same size and accurately placed on the front pieces. Then onto the fly. The instructions are fabulous - clear and well illustrated especially on the way to professionally finish the edges. This is something the indie patterns designers have really picked up on. After finishing the inner leg seams you attached the left side to the right side. I pinned the pockets together to make sure when I pinned the centre seam they would match perfectly. I even managed to perfectly overlock the curved edge of the left fly. There is a sewing guide for each size so make sure you use the correct one when topstitching in place. On to the dreaded buttonholes. My favourite marker (and I have tried a few) is the sewline fabric pencil in white. The replaceable leads give a clear fine line and are easily removable with a fabric eraser. I only mark the starting point as my sewing machine has an automatic buttonhole function. Not perfect but pretty good for me. Having a read a number of blogs on this pattern I decided to interface the right fly as well although not instructed to do so. The fabric is pretty lightweight and I thought would give some support and structure. Once sewn in you do some bar tacks to hold all the layers in place. My machine does have a bar tack function but I haven't had much success using it so I just went along with the instructions and everything came out pretty well. Then on to the belt loops. The blogs I had read suggested suggested alternative ways to the turning method applied here when using thicker fabrics. This was fine for me. I got out my edge stitch foot for the 1/8" topstitching along both long edges. 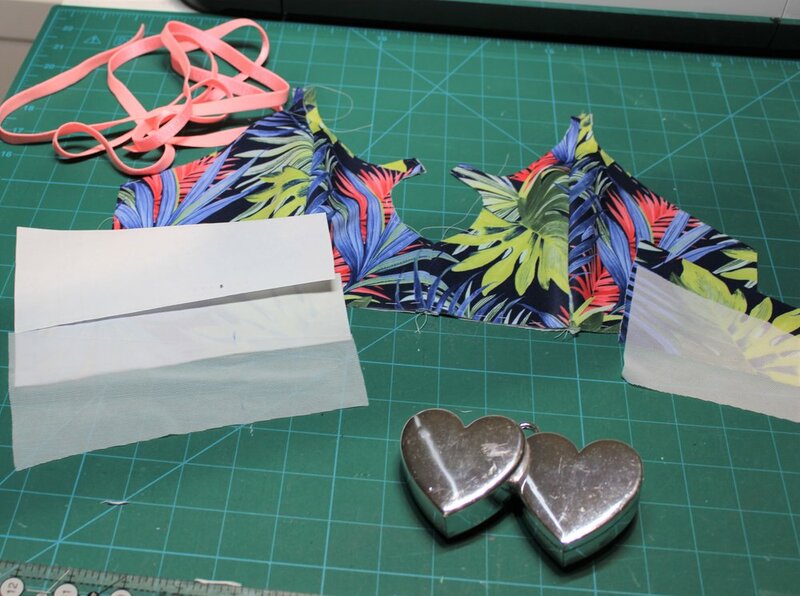 The fitting instructions tell you to ensure you keep to the 1" seam allowance at the waist so that the waistband fits. Unfortunately, this didn't work for my body shape so I had to remember to lengthen the waistband by 2" as I had used a 1/2" seam allowance. This meant the notches were off but I had no trouble fitting on the muslin so I didn't bother working out where they should go. Again the pattern instructions are so clear on how to finish the waistband and it turned out so well. The only extra step I took was to baste the waistband in place before I stitched in the ditch rather than just pin to make sure I caught the edge and to ensure the waistband was even all around. I hadn't marked the placement of the waistband buttonhole as I waited until in place and could ensure in line with the rest. Just the hems to do. The fabric had frayed so much in the relatively short time it took to get to this point that I decided to do a slightly different way (which is also quicker). I mark double the hem allowance and then fold/press to this mark. So much easier than folding on the marked line especially when it come to 1/4" seams. Then I simply folded in half so that the raw edge was up to the fold line. Only one line to mark! What do I think? I think they are absolutely gorgeous. They fit my body shape pretty well. I know others have done a curved waistband alteration but for me they sit high enough up that this is not a problem. I might even be tempted to make the long version. Although I am going to try the Odgen Cami next. The Myosotis is the May Sew My Style online sewing challenge promoting the creation of handmade wardrobes. I hadn't made the April Marigold jumpsuit as not my style and I had no-one to make it for so I eagerly awaited the release of the new Deer and Doe pattern. When I saw the pattern I wasn't sure whether I would make it - not a flouncy girl. Then I remembered the beautiful cotton lawn fabric I picked up at the Guthrie and Ghani stand at the Olympia Knitting and Stitching show. I looked up the fabric requirements, more than I had available, but given it gave one amount for the whole size range I thought I would buy the pattern and see if I could squeeze it out. A good start - the pdf is layered. My hips are one or two sizes less than my top measurements so I printed two sizes. With the gathered skirt this was an easy choice, no blending necessary. I just used the smaller size for the skirt so is slightly less gathered than it should be which suits my style. I was so pleased when there was enough fabric. Just enough length but plenty bits spare around the sides as I didn't want the pockets. Not a complicated make so just a few pages of instructions with illustrations which are more than adequate. Six darts to do first. I use a clover tracing wheel and transfer paper to mark the lines. These marks don't come off so I only use to mark on the reverse of the fabric. I do the pattern side up first and trace along the lines. Then I flip over and use the mark lines to trace on the reverse side of the pattern. Perfect darts! I then interfaced the collar and front facings with some really soft non woven interfacing. The facing went in well. After sewing and finishing the shoulders and seams I moved on to the collar. You attach the collar to the wrong side of the neckline and then fold up on the right side and topstitch in place. I prefer to fold up and press the bottom edge before attaching so I have an even collar. The collar wasn't quite right on one side so I ended up unpicking and redoing. I know I wouldn't wear if not happy with the finish. So on to the buttonholes and my very helpful tools! The Simflex expanding gauge makes marking buttonholes a doddle. I am pretty accurate but this takes all the effort out of measuring especially if you want to re-position. The other is the extremely sharp buttonhole cutter. Mine is a Bernina and comes with the wooden block. So neat and tidy. I do have a little confession to share. As I think with most machines today you just pop your button into the buttonhole foot and it sews a perfect button. For the last two makes the buttonholes have been too long. 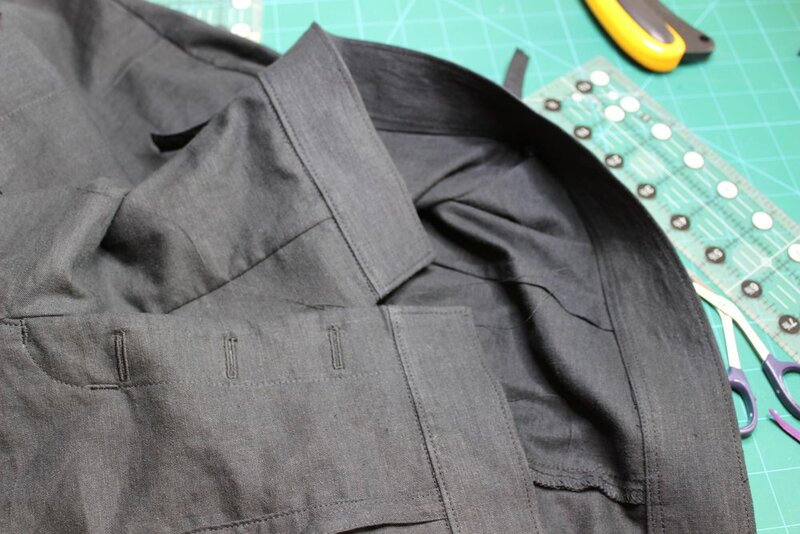 With the Kalle pattern this was not a problem as hidden in the placket and I only cut open as much as needed. With this pattern only having the three buttons in a short space ti looked odd. One early morning start I remembered to check the foot as it has an adjustment at the back. Yes, it was on long from when I made the coat at the beginning of last year and needed more room for the thick buttons! At least on the cotton it wasn't too long a task to unpick. This time I used the short setting as slim buttons. I won't forget to check again. I like to prepare the hems before the side seams or attaching to the bodice for sleeves as so much easier to work with. My best tip for this is to mark a line twice the width of the hem and fold up to this line. Then, for this pattern just fold over again and press. Unfold to do the seams and then simply repress in place over the seam. Then just the buttons to finish. I thought the little wooden buttons went well with the botanical fabric. All ready to wear for the sunny spell. I am 5ft 6in which is the height most patterns are made for and I thought it just long enough to be comfortable walking around in. I would say the bodice is a slim fit. I did compare the finished measurements to other dresses I feel comfortable in to help me decide which size to make in the first place. The sizing was spot on. So really happy with the dress which got a big thumbs up from everyone especially the collar. I will definitely look at the other Deer and Doe patterns available.